With more than twenty-five years of designing and developing customized technical training programs and competency-based performance management systems, HDC has earned the trust and continued support of local, national, and international organizations. 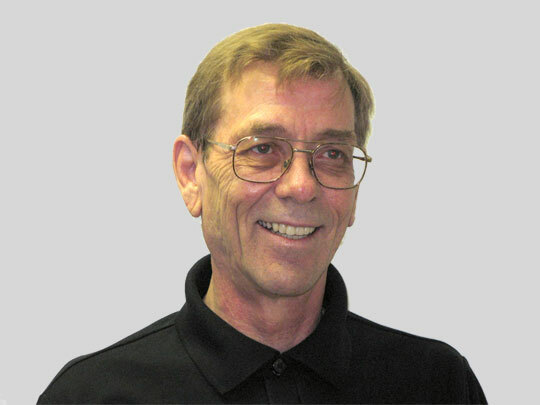 Gordon Shand, educator and founder of HDC, has secured years of practical, field-based feedback and industry involvement to ensure the quality, integrity, and reliability of every HDC service and product offering. "Often it takes very little extra effort and time to do quality work than do inferior work…"
Since 1985, HDC has continually developed and refined its internal systems, processes, practices, standards, and consultant training to provide optimal value for customers. Learn more about the internal training that HDC consultants receive by viewing the HDC Consultant Training Profile. HDC's mission is to provide quality services and products at a competitive price. In addition to quality staff and efficient work processes, HDC has a database of over 1000 equipment illustrations that we share with our customers at no cost to them. Our primary commitment is to customer satisfaction and is evident by the long-term relationships we have with clients. Our best sales people are our customers. Our first customer is still a customer today. To read what customers say about HDC’s Services and Training courses/kits, click on Customer Comments. Click to view HDC’s corporate beliefs. Incorporated in 1985, HDC Human Development Consultants Ltd. specializes in designing, developing, and implementing on-the-job, technical training programs and performance management systems, custom-designed for each client's special requirements. Many of these programs apply a human resource management strategy which integrates training, performance, pay-and-progression, and career development. All programs are designed to optimize production and minimize losses. We have developed comprehensive training programs for a variety of organizations including petroleum, forestry, government, and health. These organizations are located in Canada, United States, South America, and Asia. Working in cooperation with your experienced personnel, we develop programs that ensure your employees systematically acquire the critical business, safety, and technical knowledge of their jobs. HDC uses a variety of training delivery methods including self-instruction, on-the-job coaching, and group instruction to suit the client's particular training environment. Performance checklists for each task ensure on-the-job training is specific, comprehensive, and integrated into the daily work routine. Our products include operations manuals, reference manuals, and training manuals presented in paper or electronic format. Some manuals have been developed as a part of commissioning new facilities. When the training program materials have been approved by your organization, we assist your trainers and supervisors to effectively use the program to improve corporate, job, and employee performance. Click here for a list of the many benefits your organization and its employees can realize by implementing a competency-based performance management system. We guarantee that your personnel are competent—that they demonstrate they have acquired the critical knowledge and can perform the work to your company's expectations if you use HDC's Training and Performance System. Refer to the Customized Training Programs and Competency-based Performance Management Systems for more information about HDC’s consulting services, training programs, and customers. To supplement the customized training programs, HDC offers a variety of generic self-instructional training courses/kits for purchase from this web site. Generic training courses/kits came about because HDC's customers expressed dissatisfaction with the generic technical training available in niche areas. To ensure the content is practical, useful, and accurate, HDC's customers and vendors suggested the content and validated the products. Learn more about the courses/kits, view the training objectives and table of contents, and download samples by going to Training Courses/Kits for Purchase. Books in The Exemplary Worker series focus on the critical thinking strategies exemplary workers use to maintain outstanding performance and contribute to business success. Using thinking strategies for the workplace can improve your job satisfaction, retention, and promotion. You will learn new thinking strategies to work more safely, effectively, and efficiently and with less effort. These thinking strategies will help you to perform better in any job and work environment. You will also be more flexible in adapting to changes and effective when training or mentoring. Click here. One the greatest challenges for instructional designers and writers is to identify training content that is relevant—content that contributes to improved corporate, job, and employee performance. The book, Interviewing to Gather Relevant Content for Training, provides a set of thinking strategies that you can use to identify relevant content and eliminate irrelevant content. The bottom line is for you to develop training that contributes to business success. Click here. Although HDC integrates safety into the customized training modules, there has always been a further need for employees to personally be more effective at identifying and predicting hazardous situations. In response to this safety need, HDC has designed and developed an innovative structured critical thinking strategy that workers can use to continually identify and predict hazardous situations, before working, while working, and after the work has been completed. HDC has invested more than 4,000 hours designing, developing, and field testing the strategy-industry has contributed an additional 1000 hours to ensure the strategy works for many different occupations and environments. 90% of participants of the programs say that they would feel significantly safer or a major degree safer if their co-workers and peers used the SafeThink strategy. To learn more about the structured critical thinking strategy to identify and predict hazardous situations, click on SafeThink. To learn more about HDC's customized services and products and how we can best help you meet your organization's objectives and for the SafeThink program, phone (780) 463-3909.